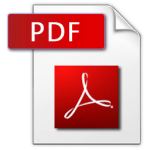 Openfreely is a free utility to open most of the common file types on Windows. You can install Openfreely to replace all other Memory and resource consuming softwares to run your computer or Netbook faster and more efficiently. Facebook is a wonderful place to share photos. FlickNav is a tool to browse photos of your friends and post comments on them. FlickNav is a windows alternative to PhotoBrowser – the free Facebook photo viewer for Mac. Read on to know how to install FlickNav photo viewer for Facebook on windows. To have a more streamlined and focussed online security, here is a list of 5 free softwares to provide you robust online protection. These free softwares prevent online security threats, Identity Theft and provide protection against Malware and Phishing attacks. AVI is an advanced video format producing high quality at small size. 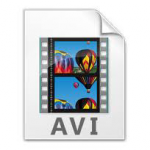 Here is a comprehensive guide to repair broken AVI video files that won’t play in any media player. Repair your AVI files now and enjoy your lost videos. As part of our Sunday Video series today you can see uber cool next generation animation effects in this animation video from Diemetrix. Read on to learn more about next gen animation and watch the video!! Microsoft has launched a new website development tool WebMatrix to start a website on any topic from scratch without usual technical hassles. WebMatrix software includes site designing, database management and website hosting. Google has launched a new free Chrome Extension “Voice Search” in Chrome Web Store to enable users of Google’s Chrome web browser to perform a voice search on a number of search engines like Google, Bing and Yahoo Search. Here is how to enable this Voice Search feature in Chrome Browser on your desktop. Here is a list of 5 best free web browsers for your mobile phone or smartphone. Each of these browsers have their own strengths and shortcomings. It depends on your requirements which mobile web browser will be suitable for you.Read on to find which one is best for you.